A tool used for searching sites for broken links. It begins checking from the starting page and goes through all pages one by one until it checks all links on the site. If Fast Link Checker finds a broken link, it shows its position in the document and the cause why it does not work. 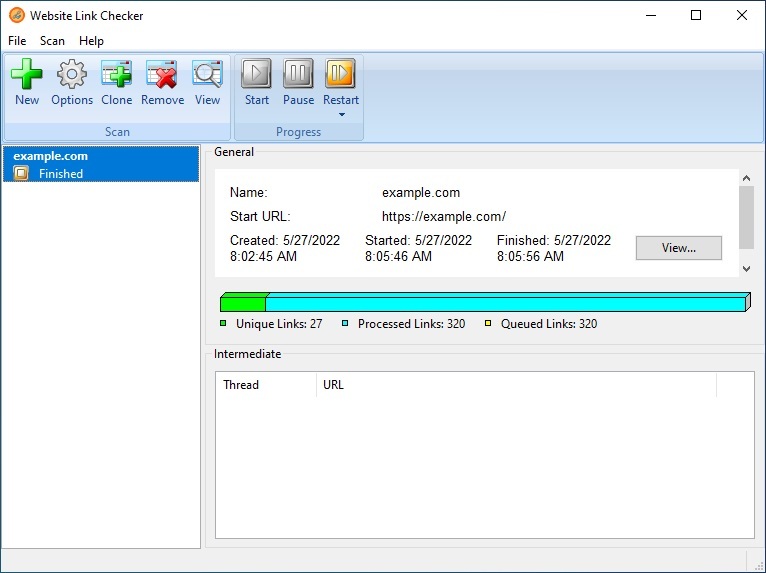 Fast Link Checker can check links in files available via the HTTP, HTTPS, FTP, FTPS and RTSP protocols on sites hosted by any properly configured web server.